Perfect for lunch on the go, our handy cooler has multiple storage areas. Bottom opens to reveal large insulated area and handles open to reveal zippered main storage area. A front slip pocket provides more storage for condiments. 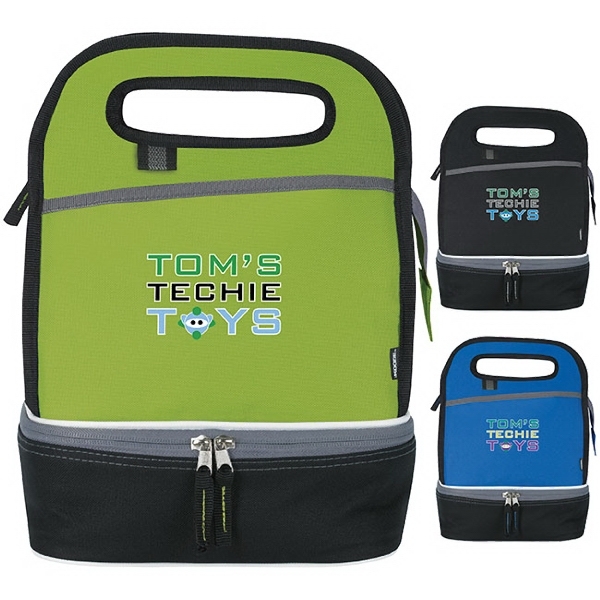 Made of 600 denier polyester, it has two large zippered main compartments and bottom compartment for plastic containers.